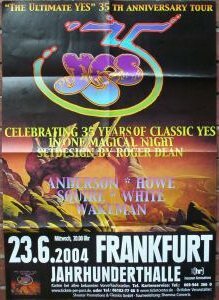 I�ve already seen countless yesshows since the mid 70ies...this frankfurt gig was one of the very very best. even much better than the great dusseldorf gig two weeks ago. the best YES performance I�ve seen since 1977!